‘Identity’ is a timely theme which shows no sign of losing the attention of eighteenth-century scholars across the disciplines. 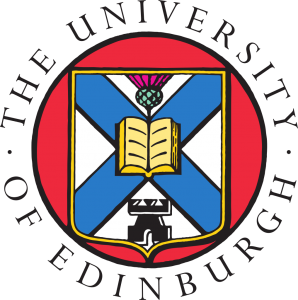 Indeed, given the long-running debates about national and federal identities in Britain and Scotland, this theme is particularly relevant to a Congress held in Edinburgh—a proud national capital. Above all, the enquiries are open-ended. Identities can be individual or communal. They can be local, regional, colonial, national, federal, imperial, and/or global. Indeed, identities are characteristically complex. They are forged by factors ranging from the personal to wider political, military, religious, intellectual, techno-scientific, cultural, ethnic, social, sexual, economic, class/caste, geographical, and historical contexts. Unsurprisingly, ‘identity’ was much disputed in the eighteenth century, with the concept of the enlightened individual. Moreover, these questions overlap with big definitional debates about the nature of Enlightenment. Was there ‘an Enlightenment project’, or many different national versions, or a radical Enlightenment—or none? 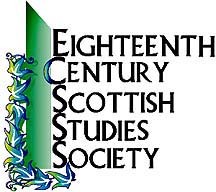 Given these interlocking complexities, the big theme of ‘Enlightenment Identities’ constitutes an alluring topic for an international gathering in the great Enlightenment city of Edinburgh, whose eighteenth-century denizens, like Adam Smith, were at once Scottish, British, and ‘citizens of the world’. 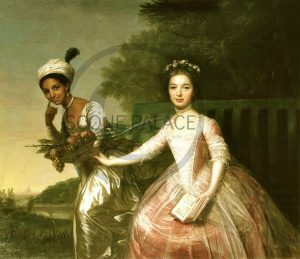 Dido Elizabeth Belle (1761–1804), shown here with her cousin Elizabeth Murray (1760–1825), was the daughter of an enslaved African woman called Maria Belle and the Scottish admiral Sir John Lindsay (1737–1788). Born in the Caribbean, Dido was sent to London to live with her great-uncle, the celebrated Scottish lawyer William Murray, 1st Earl of Mansfield (1705–1793). Although Scottish, Mansfield’s greatest contribution was to English law, in a 1772 ruling in the case of the escaped slave James Somerset. Mansfield’s interpretation of the law, while not technically making slavery illegal in England, made it effectively unenforceable, a decision which probably set free thousands of enslaved people, most of African descent.